For the past year and a half I have been writing a book on psychogenic seizures for those living with PNES as well as their caregivers and the professionals who work with them. As we all know, psychogenic seizures look very much like epileptic seizures, but are not triggered by electrical anomalies in the brain but rather by emotional stress. Psychogenic seizures represent a very serious psychological disorder that for unknown reasons is almost invisible. If you go on-line and search for PNES or psychogenic non-epileptic seizures, only a few pages show up and if you look for them on the American Psychiatric or Psychological Association pages, you won’t find them. It is mindboggling that a condition that has such a devastating impact on the lives of persons suffering from PNES and their caretakers is not represented more and that there is not more reliable information on it. I am surprised that this is the first book that I know of written for patients by a treating professional. 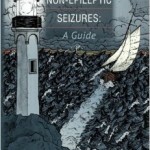 This book “Psychogenic Non-epileptic Seizures: A Guide” (ISBN-10 1492881414) was written to fill the information gap that exists regarding this disorder. It presents a description of psychogenic seizures: what they are, what causes them, who is most vulnerable. It offers essential knowledge about PNES and the tools necessary to take charge of it. The book includes thorough explanations detailing how trauma, anger, depression, and anxiety can promote and maintain PNES in most cases. And it provides some tools that can be useful in helping those with PNES begin to change the thoughts, feelings, and behaviors. Just purchased the book today ! It’s about time, thT PNES is coming to light. Congratulations and thank you for the book, I hope it helps a lot of people. One thing I was wondering, what are the numbers between women and men who have PNES? It seems that more women than men have it? Jennifer, you are right. About 3 out of every 4 PNES sufferers are women. Another question I have, I don’t know if you’ve noticed this in any of your patients or studies… but are any PNES seizures/cases related to food intake or blood sugar levels or anything like that? My seizures are about once or twice a month now and a lot of them seem to pop up if I’ve either not eaten much during the day, or have only eaten a lot of sugary things. Jennifer, We have not looked at this specifically although I do have a chapter in the book that goes over basic do’s and dont’s regarding healthy diets. We do know that nutrition does impact mood. Me where to buy your book in the uk? I plan on getting your book, so forgive me if you covered this in your book. I have PCOS, and was recently diagnosed. As soon as I went on Metformin, my seizures stopped. However, they only stopped for 3 months. I have an appointment to check my levels and maybe they will adjust my dosage. Can you direct me to anyone that is doing research on PCOS and seizures together? I just don’t honestly buy that my seizures are a result of stress or childhood trauma. Not discrediting your work in the slightest!!! I just refuse to stop trying to find the answer. And I don’t think pnes is the answer. Especially since over 75% of persons with these episodes are women. Any feedback is much appreciated. Melissa, there are epilepsy specialists who additionally specialize in women with epilepsy. Drs. Olgica Laban-Grant and Cynthia Harden are two that come to mind. They are in NY. You might check through the American Epilepsy Society-find a doctor option. I think that we need to keep investigating PNES –there is much we still don’t know or understand so your question is quite valid. My daughter 19 has had these seizures since she was 14, when she was physically abused by a teacher. She has had all the test done t Childrens hospital. She continues to have 7 to 8 in a row and usually knows when they are coming.We have been to hospital to psychologist who will not give her meds. Is there meds for this? She is in counsling still….